The Department of Land and Natural Resources, headed by an executive Board of Land and Natural Resources, is responsible for managing, administering, and exercising control over public lands, water resources, ocean waters, navigable streams, coastal areas (except commercial harbors), minerals, and all interests therein. The department’s jurisdiction encompasses nearly 1.3 million acres of State lands, beaches, and coastal waters as well as 750 miles of coastline (the fourth longest in the country). It includes state parks; historical sites; forests and forest reserves; aquatic life and its sanctuaries; public fishing areas; boating, ocean recreation, and coastal programs; wildlife and its sanctuaries; game management areas; public hunting areas; and natural area reserves. Suzanne Case was born in Hilo and grew up in Hilo and Honolulu. 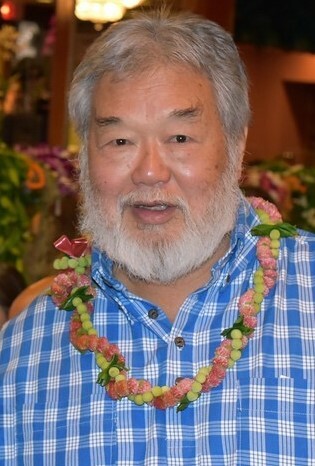 She attended Waiakea-Kai Elementary School, Keaukaha Elementary School and Punahou School (1974). She attended Williams College and Stanford University, where she graduated with honors (B.A., History, 1979), and received her law degree from Hastings College of the Law, University of California, San Francisco.